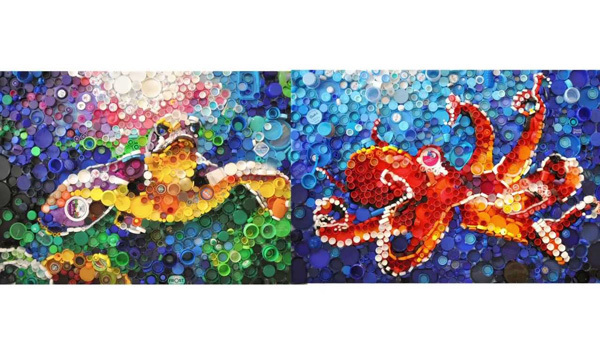 All of the classes at Montessori By The Sea are very excited to be participating in the wonderful Cayman Bottle Cap Drive project, which has been organized by Plastic Free Cayman and the Art department at Cayman International School. All schools in Cayman have been warmly invited to support this exciting, environmentally-minded endeavour, and MBTS has joined in with whole-hearted enthusiasm. 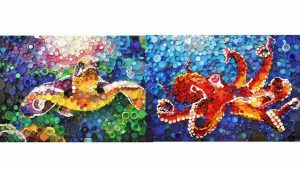 The idea is for every school to collect as many plastic bottle caps as possible, and then “upcycle” these bottle caps to create a beautiful, huge mural that will hopefully grace our newly-renovated airport in the late spring of 2019. We are hoping to have a local artist take the helm for the design and artistic vision of this project; if not, the art teachers from all of the schools will happily step in. All contributing schools will have their school name commemorated on a plaque. 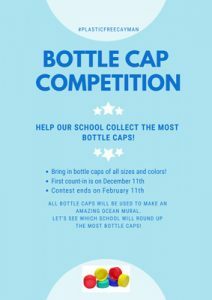 To get everyone in our community excited about this worthy project, it is being launched as an island-wide, inter-school competition of who can collect the most bottle caps. 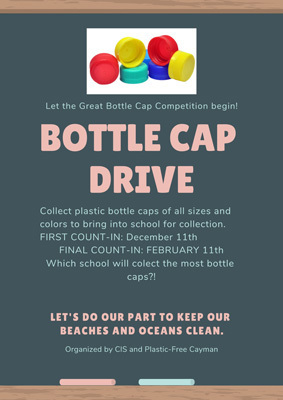 We have already begun collecting, and we will have a bottle cap count on December 11, 2018 as well as on February 11, 2019. 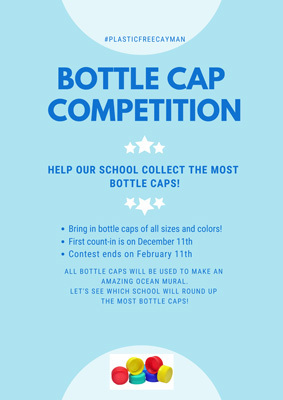 While our students at MBTS have been positively motivated by the competitive aspect of this project, it is truly heartening to note that when speaking with the children, it is evident that they clearly understand and take to heart the environmental reasons for doing this, as opposed to just focusing on accumulating the most bottle caps and “winning.” This is the spirit of our community and what we try and instil in our students’ hearts: the responsibility of being a positive citizen and a caring steward of our precious Cayman. 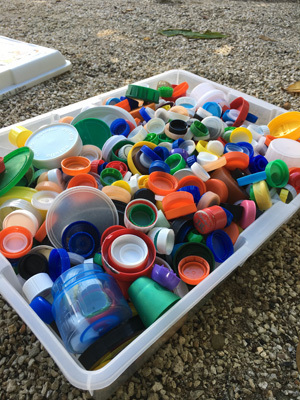 The excitement this project has generated is evident not just in the conversations I overhear amongst the children, but in the already-overflowing containers brimming with bottle caps on my Friday collections from the classrooms. Such investment and engagement from the students in an environmentally-focused, community-based project is so fantastic. I am certain that your child has already shared some of this information with you at home and we thank you for your support with this project. National Geographic – Planet or Plastic?